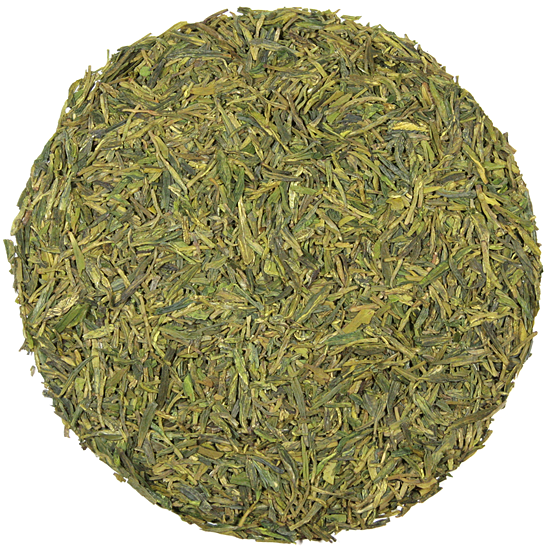 Longjing Shi Feng 1st Grade, (aka DragonWell ) is one of our most popular teas. It is harvested during the 2nd harvesting season in the spring and we intentionally receive it in the late spring/early summer and some years, such as 2018, even later in high summer. We like to have this tea after the early spring Longjings have sold out, when it is time to focus on the more mature, nutty, complex and involved flavors that come forward in Shi Feng 1st Grade Longjing. 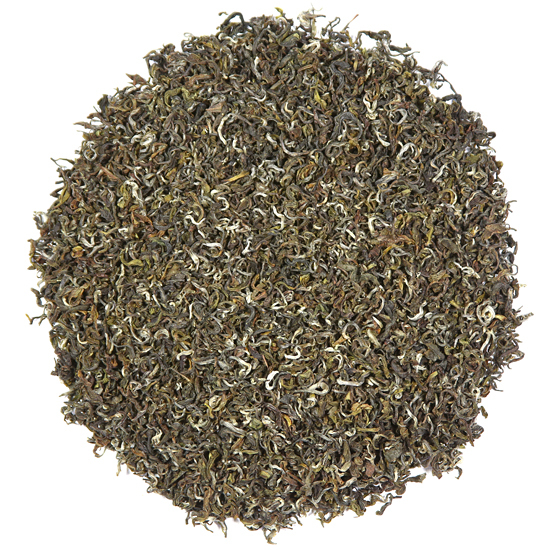 This lovely tea has a warm, toasty, slightly yeasty flavor with a hint of chestnut in the after-taste. While a 1st Grade Longjing will normally be overall ‘stronger’ and more forthright in flavor than the other Longjings that we offer, our 2018 1st Grade is a very late Yu Qian pluck, so while it possesses great clarity and pureness of flavor – representing the subtle style that the Chinese prefer – it also shows a depth of flavor that a slightly more mature leaf will exhibit. As happens regularly in the traditional Chinese manner, the 2018 harvest was not deemed ‘ready-to-drink’ just after harvest and manufacture, so our tea maker held it until the leaf was ready for market. By releasing it after a short ‘resting’ period, the leaf was afforded an opportunity to develop its fine flavor and deep rich character. It is also a bit sweet this year, which adds to its complexity and contributes a long aftertaste (or as the Chinese refer to it: ‘returning flavor‘). Though having been plucked during the second-earliest Spring season, this 1st Grade has that toasty underlying style that we love in a hearty Longjing. This and the Longjing from Weng-jia Shan are Tea Trekker’s bolder style Longjings. We find a clear distinction between the style of Longjing that is highly-regarded in East Asia and that preferred in the West. In East Asia, subtlety and clarity, softness and sweetness are sought-after qualities in Longjing. In most of North America and Western Europe, a bolder, more nutty and assertive style of Longjing is preferred. Most of this year’s 2018 Longjings were less subtle than they have been for the last several years. This heartier style has been fun and delicious to drink. Longjings have different flavor profiles due to influences (terroir) particular to the micro-climates that exist in and around the harvesting areas in the vicinity of West Lake (the origin of authentic Longjing) and the time of the pluck. All of our Longjing teas are completely hand made and are pan-fired in charcoal-fired tea firing pans by artisans who are masters of their craft.